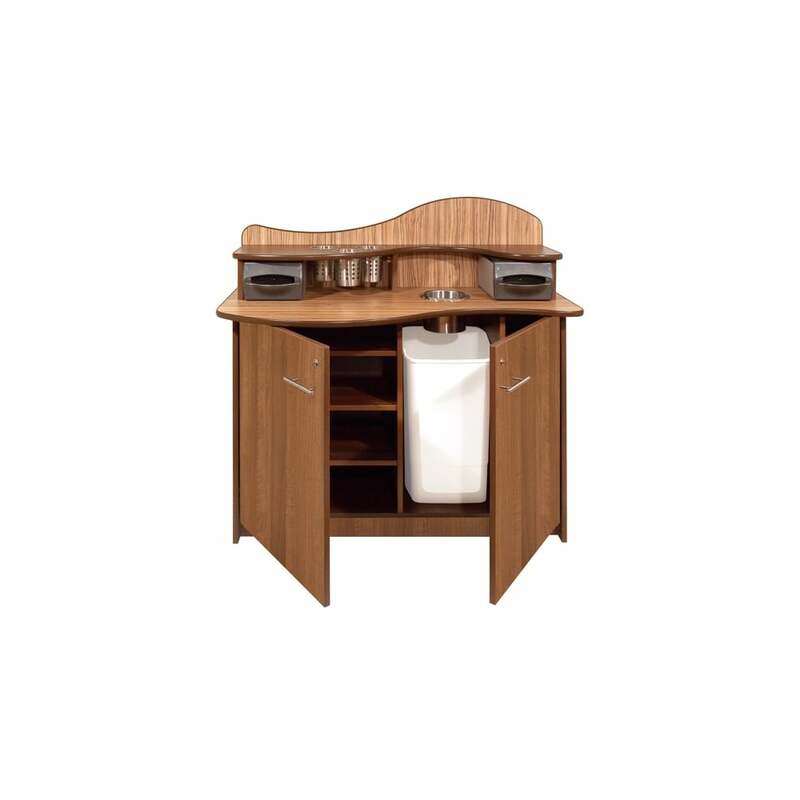 This Premiere Coffee Station has been designed by Parry to offer an attractive & functional solution to storage. This coffee station features all the space needed to provide your customers with all they need to make the perfect coffee. Featuring 6 adjustable shelves, 3 stainless steel cutlery containers & 2 serviette holders, as well as the countertop space available to use for anything you need.